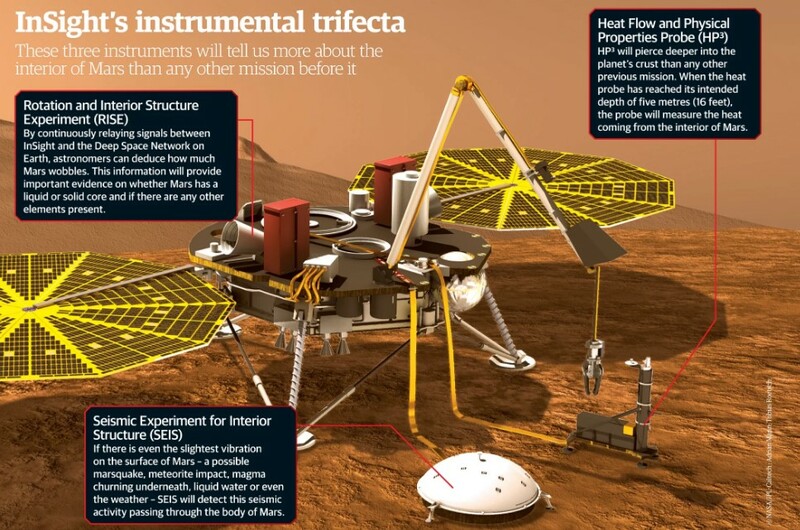 The well-known Mars lender which is called InSight has landed perfectly to its destination. 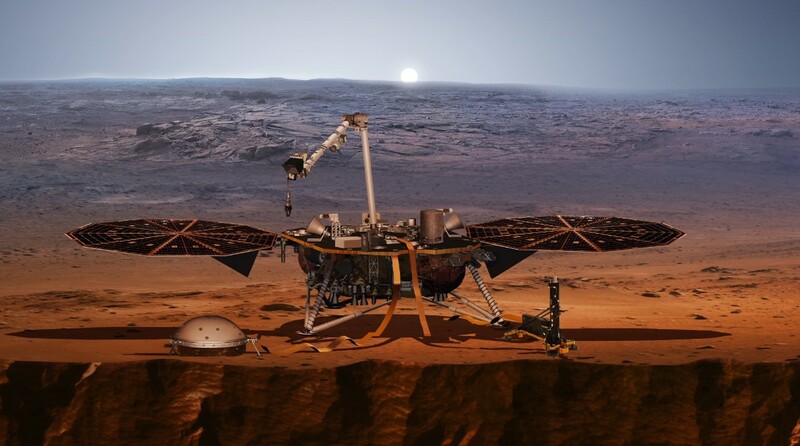 Confirmation of landing came through the Deep Space Network at 15:01 EST (2001 UTC) on Monday, 26 November following the 7-minute descent and landing of InSight on the Martian surface. 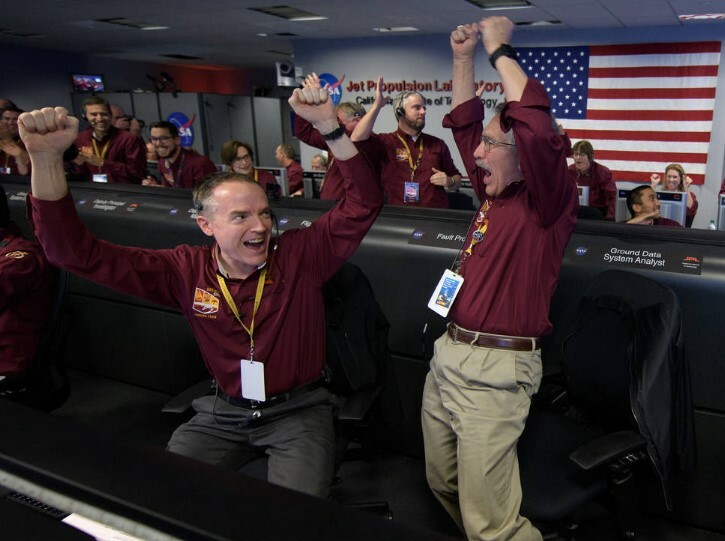 As mentions NASA “Geodesy and Heat Transport (InSight) lander successfully touched down on the Red Planet after an almost seven-month, 300-million-mile (485-million-kilometer) journey from Earth”. InSight Lander launched from Vandenberg Air Force Base in California May 5. The lander touched down Monday, Nov. 26, near Mars’ equator on the western side of a flat, smooth expanse of lava called Elysium Planitia, with a signal affirming a completed landing sequence at 11:52 a.m. PST (2:52 p.m. EST). Elysium Planitia is a broad plain that straddles the equator of Mars, centered at 3.0°N 154.7°E. It lies to the south of the volcanic province of Elysium, the second largest volcanic region on the planet, after Tharsis. We have some articles related to this mission, you can read here below!